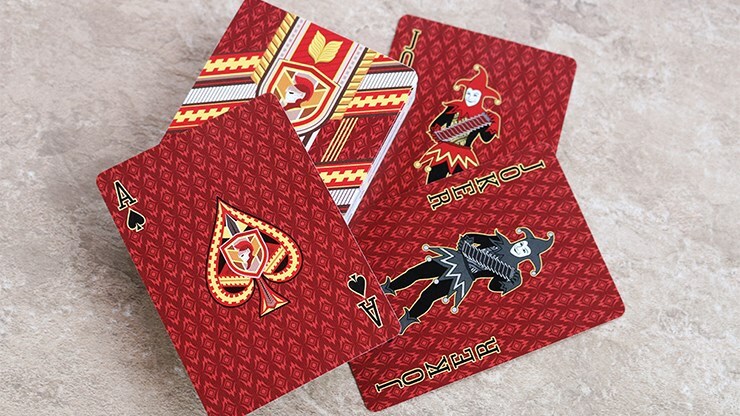 You are invited to own this badge of honor. 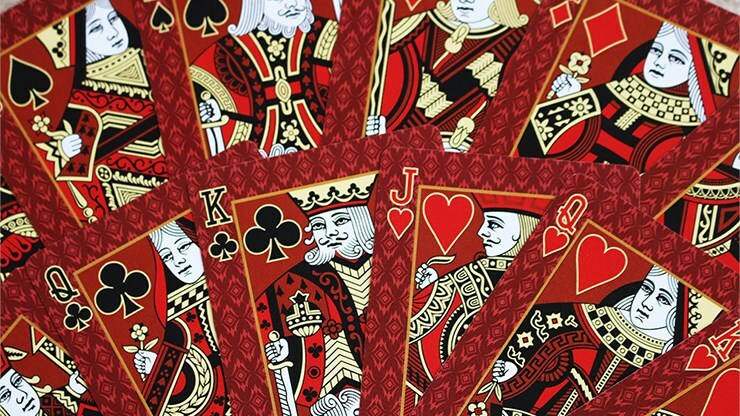 The seal of the Red Castle is one to display for all to see. 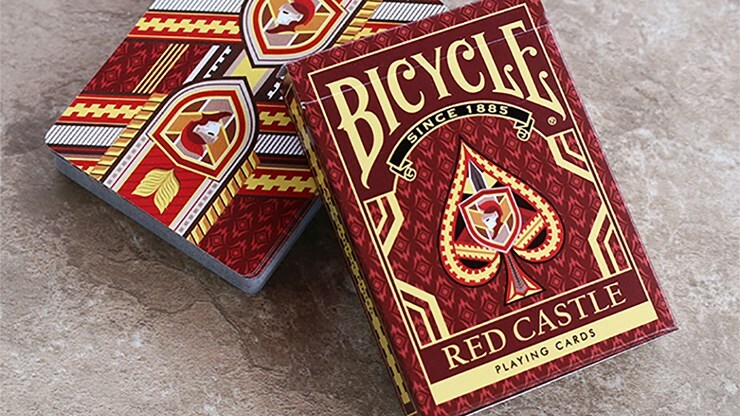 Printed by USPCC and produced by Collectable Playing Cards this deck is like a medal of honor, and will be one to admire for a lifetime. 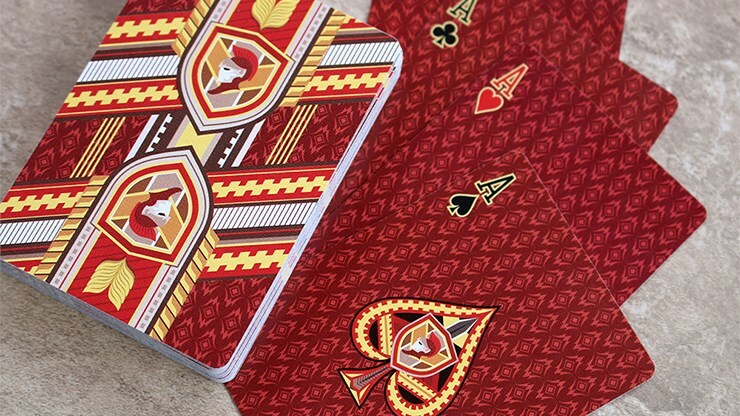 The deep maroon red soaks the cards and blends nicely with the light gold accents. 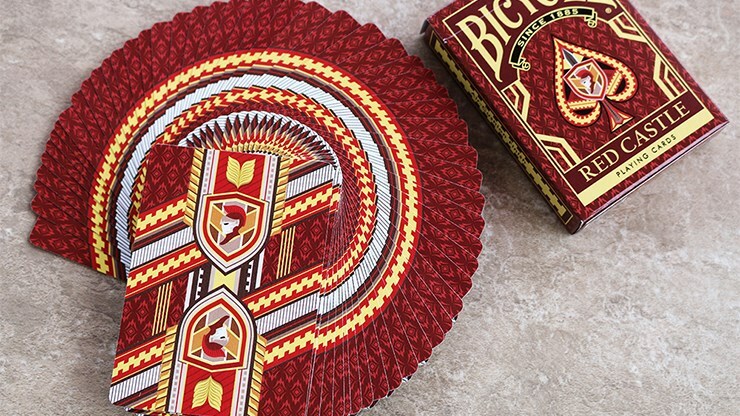 The back cards are border-less with a fantastic fan display. 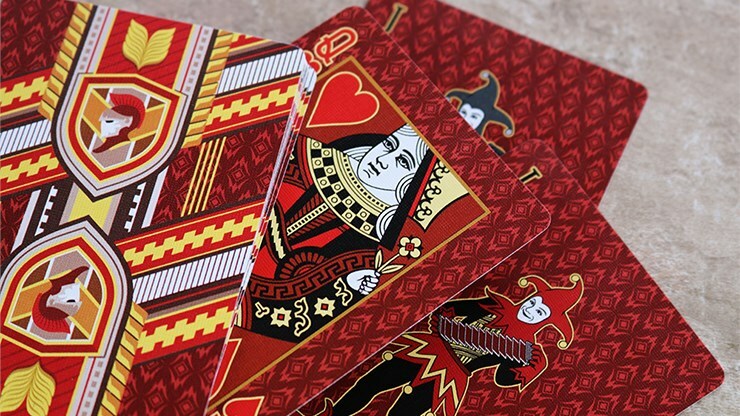 Ace cards feature the knighted emblem in the center of the pips.